FAITHSEDGE – I’m a believer in the old adage “what’s old is new again”. In other words, Old School Hard Rock and Heavy Metal will never fall out of relevance in my Metal world. Step in please, from Southern California… Faithsedge. This band of Rock industry veterans have created a debut and self-titled album of Hard Rock meets Heavy Metal songs that are anointed with the double M. What’s the double M you query? Melodic and Memorable. 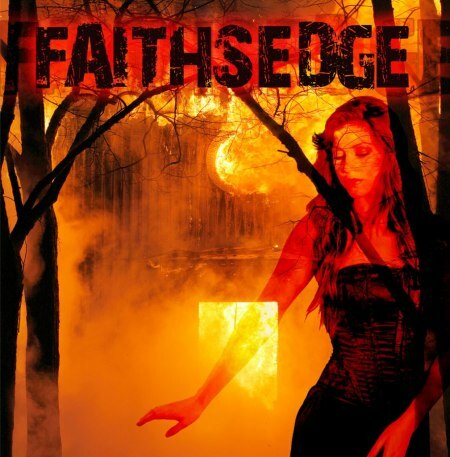 Simply stated, this debut album from Faithsedge is one of the best albums thus far, that I’ve listened to in 2011. Releasing on April 19th, 2011, on Scarlet Records, this album has more melodic momentum in it’s heavy that it’s dizzying. Faithsedge will (not should) make some serious noise in the Heavy Rock world. If a band today wants to make an impression from the very onset, it’s quality that will win over fickle Hard Rock and Metal fans. It all starts with songwriting and the songs I hear on this album are a reminder that Rock is supposed to Roll. This is an album that I’ve been listening to for a few weeks now and it only sounds better each time I push play. Before you read on any further, take out your blackberry or a post-it-note and remind yourself to buy this new Faithsedge debut album. It’s that much of a guarantee of Rockin’ satisfaction… Metal be thy name. Giancarlo Floridia on vocals sounds every bit the seasoned pro, with many moments of Joe Lynn Turner like resonance. Hitting the high notes and exhibiting some of the best vocal harmony this side of Jon Bon Jovi, Giancarlo is top tier. Not to be mistaken, Giancarlo is as original as they come, only he’s so good I have to compare him to the finest out there. Alex De Rosso lays down more delectable chops on guitar than I can count. The leads, solos and riffs that Alex plays are abundant, making this album easily tagged as guitar driven. Initially, I listened to the five songs that were streaming on the Faithsedge website and was extremely impressed by all of them. Then, once I listened to all eleven songs it dawned on me… this is as good as it gets when it comes to a complete album of quality songs. No, there is not even a hint of a bugger on this Faithsedge album. AOR and Classic Rock has it’s roots buried within the sound that Faithsedge has captured here, while never compromising on relevant Hard Rock and arena style Heavy Metal. If there ever was an album tailor-made for a Summertime psyche-you-out experience, then this is it and let the good times roll! With up-tempo as a constant on this album, a song such as That’s What Happened To Us comes across to my ears as: ready for radio airplay now. Faithsedge is not lacking in the accessibility department when it comes to their songs. You will be searching in a vain effort to find any cheese-its illuminating from this album. The heavy thumper of World Keeps Falling Down appeals from both it’s speed and Power Metal flair, while visions of Faithsedge playing this song in an arena or festival one day doesn’t seem that inappropriate in my Metal mind. I spoke to Giancarlo Floridia recently, to characterize him as a musician who is grounded while being ever enthusiastic about the future of Faithsedge is appropriate. “I’m really fortunate, going from being homeless at one point to where I am now”. Giancarlo continued: “I’m fortunate and I appreciate everything that is happening, I’m a singer that realizes I can lose everything”. “Things happen in our lives and we have to get through them. Even the dark stuff needs to be addressed, I write, sing and play these songs because I want to help people get through tough times”. I can’t help liking a musician such as Giancarlo, especially when he added: “The lyrics represent what was going on in my life on a day to day basis. These songs are about my story, my comeback in life. Hopefully, people can relate to it. I don’t party or do drugs. Paul Stanley and Joe Lynn Turner are two big heros of mine and I want to be where they are in another twenty years”. The songwriters for Faithsedge are Giancarlo and Fabrizio Grossi. “Fab” as Giancarlo calls him, is a world renowned bass player and record producer. Giancarlo affectionately refers to “Fab” as “The Godfather” when talking about his experience working with and listening to his advice. The appreciation and respect that Giancarlo has for “Fab” pours out of him with admirable sincerity. Fans of 1980’s Hard Rock, Arena Rock and Heavy Metal should feel quite content as they listen to Faithsedge. Any fan of Rock who wants a complete album of songs, with no fatty acids thrown in, should be all over this Faithsedge debut. 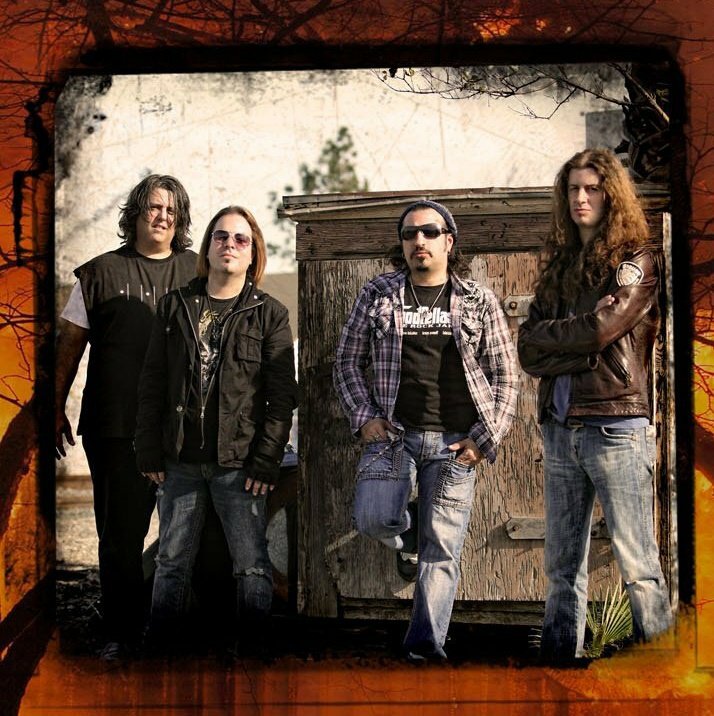 This band has all the melodically Hard and Heavy credentials to share the stage and open for the likes of Whitesnake, Bon Jovi, KISS, Edguy or Journey. It makes perfect Metal sense to me. Faithsedge proves with their debut album of immensely contagious songs that they are for real and they belong. I’m on board for this melodic Rockin’ ride with Faithsedge… I hope countless others will join me. 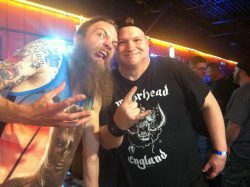 Metal Odyssey gives FAITHSEDGE 5 out of 5 Metal Fists!